Medium - $107.99 Only 1 left! Let us break it down for you. There are really two types of people in the world. 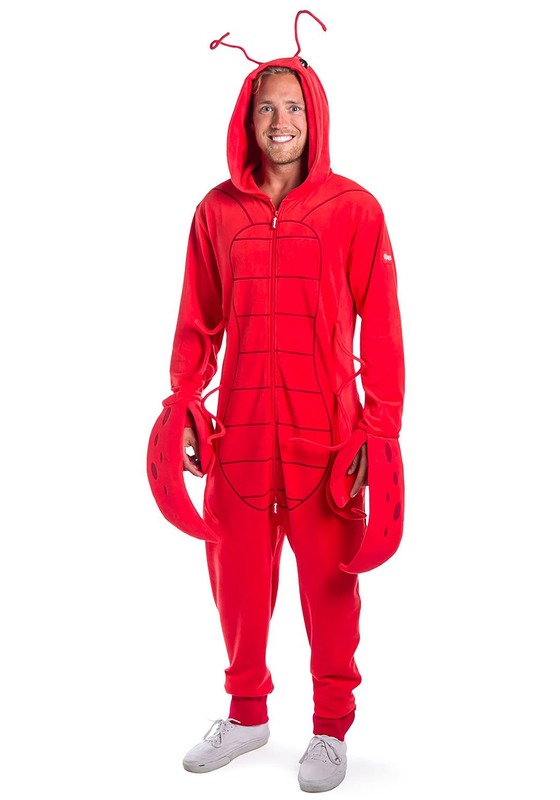 The first type of person looks at this lobster jumpsuit and they say to themselves, “Huh, weird. Why would anyone want that?” They don’t understand and that’s okay. This outfit isn’t for you. The second type of person sees this same costume jumpsuit and says to themselves, “Holy bananas! Where have you been all my life? !” They know. It’s not something that they can really explain, nor should they be expected to. They can just feel the intense vibe of awesomeness that emanates from this jumpsuit. How do we even begin to explain this lobster jumpsuit? Well, first of all, it’s made by the people from Tipsy Elves. It’s a bright red jumpsuit that zips up in the front. It has some very crustacean-like details, including a printed belly and a couple of dangly legs on the sides. The sleeves end in mitts that are shaped like big ol’ claws, but that’s not even the best part! The best part of this costume comes in the form of the hood. The hood has a pair of beady eyes on the top, along with a pair of squiggly looking antennae. Listen. 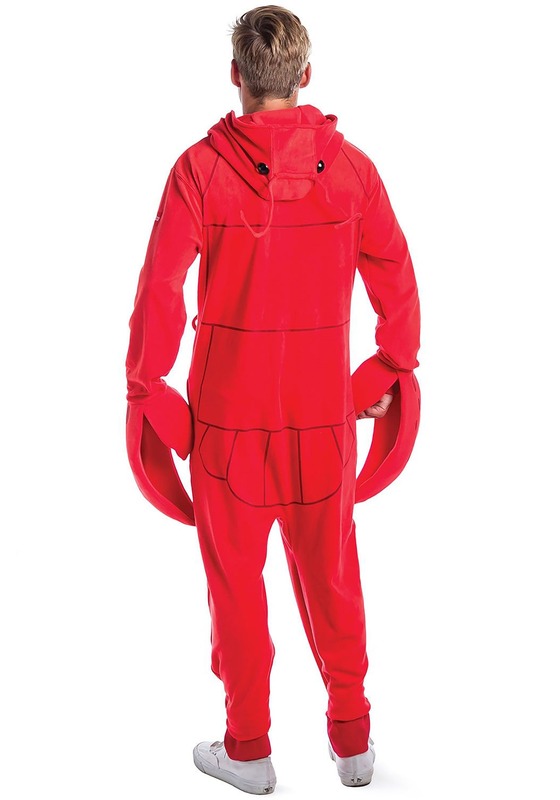 When you wear this lobster jumpsuit, you don’t need to explain yourself to anyone. Some people are going to get it. They’ll take one look at you and think it’s the coolest thing since video games. Others, well, they’re just going to be confused. But you can’t live to please everyone. Sometimes, you just have to follow your own truth… which includes wearing this lobster costume, because the truth is that it is awesome.